At Bark Avenue Market and Bakery in Colleyville, dogs can find tasty, homemade biscuits and many other delectable treats. Dog food at its best is served at the specialty bakery. Dogs can try Cheesie Beggin Twists, made from real cheese and bacon, or beefy bones biscuits, made with fresh garlic and beef. “They smell great cooking,” said Bark Avenue owner Tammy Malone. Just for birthdays, dogs can enjoy Birthday Bones — a large, customized dog biscuits baked in the shape of a bone. Owners can chose from a selection of icings and request a special message written on the Birthday Bone. Dogs can enjoy their bones in a selection of flavors such as honey bear or snickerpoodle. “It’s fun for dogs and their human companions, but its also good for their health and nutrition,” Malone said. All biscuit ingredients are natural and free of ingredients that many dogs cannot eat such as wheat, corn, soy and other byproducts. Biscuits sell for $9.99 a pound. Customer Brian Mathis, Bark Avenue’s architectural designer with Arc Design Studio of Fort Worth, gives his 1-year-old mixed breed Dachshund-Chihuahua, Hudson, cheesie beggin twists and honey bear biscuits… “He gets excited. He loves them,” Mathis said. “He does smile.” Mathis said the natural ingredients in the biscuits attracted him to the products. “It’s a healthier, better way to go,” Mathis said. Malone and her business associate John Doak, of Haslet, say they want to provide nutrient-rich food for their customers’ pets. “I am just nuts about dogs. I love them,” said Malone, also of Haslet, who has been a dog trainer since 2002. 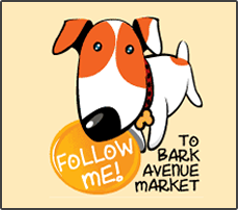 Malone and Doak have modeled their operation after an Orlando-based business called Bark Avenue Bakery. The Florida business makes treats for dogs staying at the pet-friendly hotel in Walt Disney World Resort. Malone and Doak chose to open the business in Colleyville because they love the community. “It’s kind of the place to be,” Doak said. “A lot of people around here, they love their dogs and want to pamper them,” Malone said. The store also sells several brands of dry and canned food for cats and dogs. All foods offered are made of holistic, quality ingredients and free of harmful by-products. Just for dogs is a frozen raw food made of meat and vegetables. The store also offers a variety of toys, beds, collars, shampoos and other pet items. 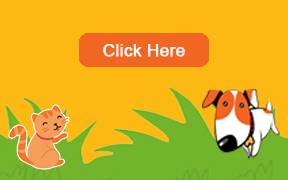 Next Next post: Your Natural Dog & Cat Pet Store Resource!